Get inspired to stitch, craft and create your way to a handsome holiday! Inside this must-have crafter’s guide to creative gift-giving, readers will find dozens of unique how-to projects for making something special for everyone on their list. Designed with the creative and contemporary multi-crafter in mind, included are step-by-step tutorials from a multitude of craft genres, making this is a keepsake bookazine that crafters will keep on hand for years of inspiration. 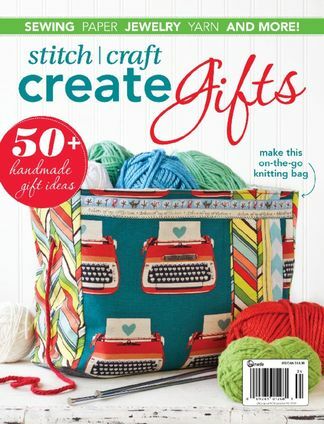 Be the first person to tell us what you think about Stitch Craft Create Gifts and you'll save $5 on your next purchase! 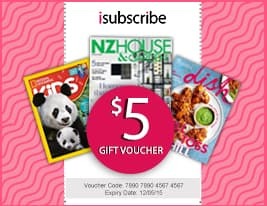 https://www.isubscribe.co.nz/stitch-craft-create-gifts-digital-subscription.cfm 15514 Stitch Craft Create Gifts https://www.isubscribe.co.nz/images/covers/nz/541/15514/square/StitchCraftCreateGifts191610342.jpg NZD InStock /Digital/Crafts & Hobbies/Textiles Get inspired to stitch, craft and create your way to a handsome holiday!